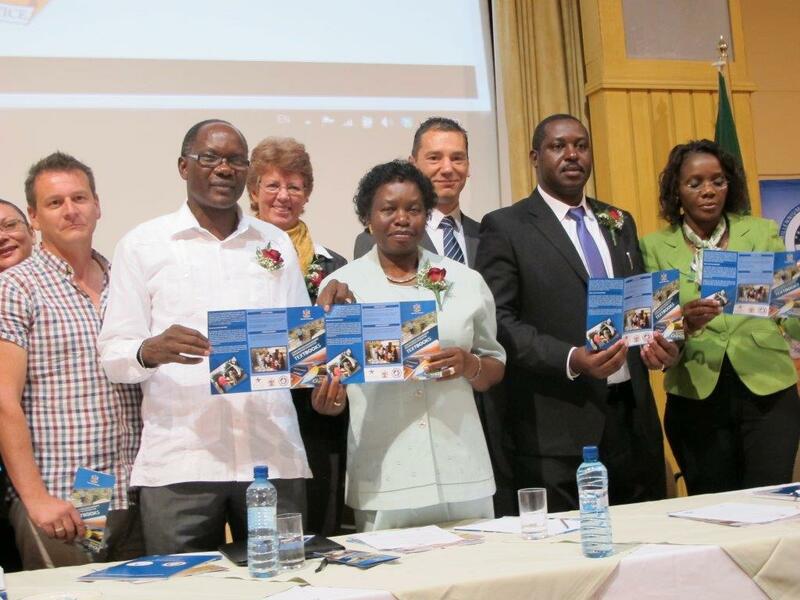 Millennium Challenge Account Namibia (MCA-N) together with the Ministry of Education has just launched a modern Management Information System (MIS) for Learning Support Materials (LSM) in Windhoek. In September 2012, Linpico was awarded the contract by the Millenium Challenge Account in Namibia as part of the technical support provided by MCA-N (through the U.S. Government’s Millennium Challenge Corporation – MCC) to Namibia, amounting to N$ 12 million. This contract aimed to assist the Ministry of Education (MoE) in implementing its 2008 textbook policy. MCA-N implements development activities in the country’s education, agriculture and tourism sectors financed by the United States Government through the Millennium Challenge Corporation (MCC) worth US$ 304.5 million (N$ 3 billion) with the aim of reducing poverty through economic growth. Forty-six percent of this amount (US$ 141.4 million) is budgeted for the Namibian education sector. As of 28th March, the Minister of Education, Dr Namwandi, has officially launched the Learning Support Material Management Information System (LSM MIS), a new system which will enable the Ministry to distribute learning materials to all regions, circuits and schools in Namibia more efficiently. Linpico has been providing long and short term expertise for this Millennium Challenge Corporation project to develop the Supply Chain Management Unit in a bid to improve the procurement of textbooks for the Ministry of Education and in order to integrate the LSM MIS with Data in the Education Management Information System (EMIS). MCA-N has procured 1.7 million textbooks to the value of N$ 120 million for grade 5-12 learners in all regions of Namibia. The new system provides for efficient and effective control, maintenance and procurement of school textbooks as well as other learning materials. It is estimated that the process of ordering textbooks will be shortened from five months to less than one month. Originally introduced in 2013, the LSM has already facilitated the effective ordering and delivery of over 1 million textbooks, with the system only taking weeks to process orders compared to six months using previous systems. Six regional education directors have already been trained in supply chain management by Linpico’s experts, with training in the remaining regions expected to be completed over the course of the month. The introduction of the LSM MIS is in line with the Ministry’s mission to provide quality and accessible education for all in Namibia, and in particular its commitment to achieve a 1:1 textbook and learner ratio. Following the official launch, Linpico has been offered a project extension in order to continue building the Supply Chain Management Unit, by strengthening the understanding of the LSM supply chain and in the operation of the LSM MIS through training in management in Windhoek and in the regions.